Feeling blah about work? Wondering what’s next for your life? Based on the popular book, “Now What? 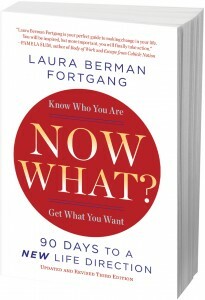 90 Days to a New Life Direction” by bestselling author and veteran coach Laura Berman Fortgang, our 90 day coaching program is designed to help you gain career clarity and life direction. Do it on your own or with one of our Authorized Facilitators, but do it! Contemplating a job change, a promotion, or a whole new direction to improve the quality of your life can be confusing and intimidating. Now What?® is a proven curriculum that will help you tailor your work and your life to your own truest values and needs. We call this your Life Blueprint® and it is as unique as you are. Our unconventional methods will help you excavate your next steps so you can take action and claim the prize — living your best life. Hundreds of coaches have been trained in this method based on tens of thousands of hours of hands-on coaching with people in all walks of life. We can help you redesign your work and your life to bring happiness back into the equation and return you to a sense of purpose. We will support you to discover what’s next and help you create a plan on how to get there. 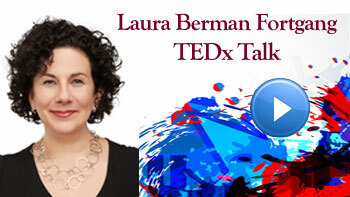 *Item to Note: Community Calls are recorded and distributed to registrants and on our site. There is no editing of the recording. If you prefer not to ask a question live on the call, you may email your question to us. Names associated with questions that were sent via email are not shared during the call.